I'm pretty fortunate that I don't have a ton of people that I need to shop for during the holidays. The few people that I do exchange gifts with are easy to shop for, and I completed those purchases in mid November. For those of you who aren't as fortunate or as foresighted as I, here's your opportunity to check a few more names off that shopping list in the final days before Christmas, plus support local businesses in the metro New Orleans area. Chuck George, local race director and running aficionado, sent an email out this past week on behalf of his company New Orleans Running Systems Inc. 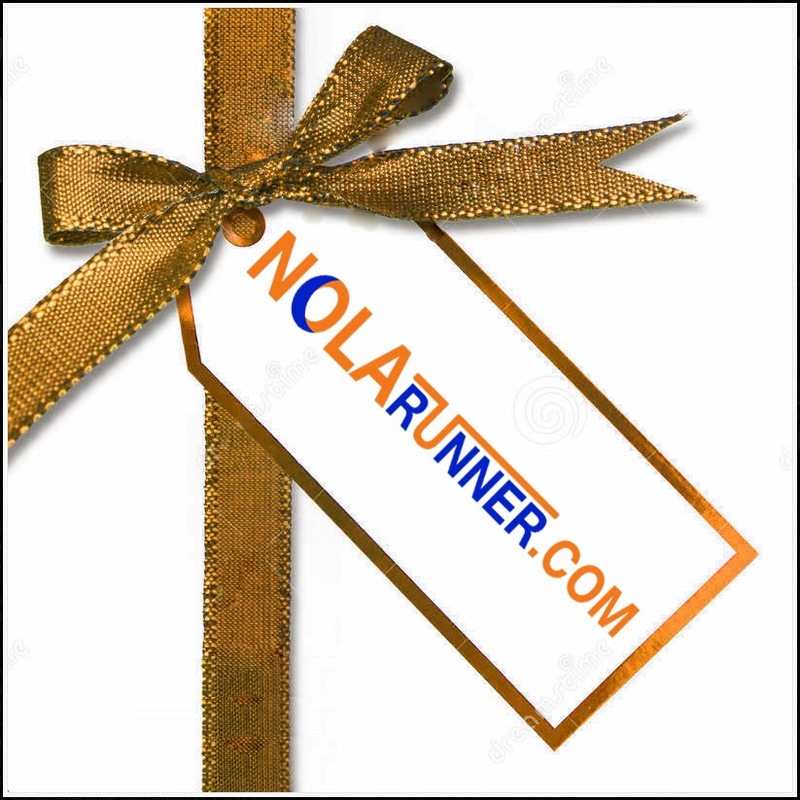 It included a list of local stores that could be great stops to get something special for those runners in your life. Check out this list by clicking the image to the right. commonly used supplies at races. Several packets of my favorite Guu (Vanilla Bean without caffeine, FYI), cheap throwaway gloves for those cold morning races, a tech material shirt with NOLA branding for out of town runs, or a couple tubes of Nuun to spice up a hydration routine. Any single one item or a combination of these items would make a runner's day. Also, runners go through shoes like tissue during flu season. A gift card to help defer the cost of new footwear is a great idea. Personally, I don't believe in giving gift cards because they don't always express the thoughtfulness that goes in to selecting a gift; however, this is one of those rare exceptions. Not only does it give the recipient the opportunity to purchase something they will utilize for months, but it shows support of their interests and hobby. Those sentiments go a long way. A final thought would be to register a runner for an upcoming race that you know they'd like to run, but have yet to sign up for. 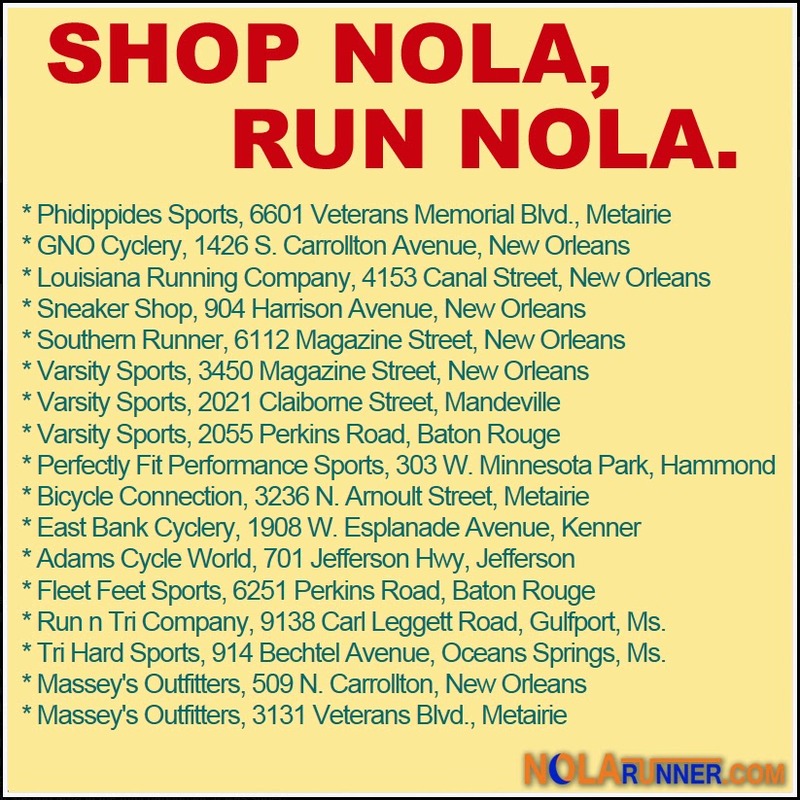 There's a ton of options out there, including several put on by Chuck and NORSI, the New Orleans Track Club, and of course the Rock 'n' Roll New Orleans Marathon & Half. Events aren't cheap, and as someone who participates often, I know how quickly those registration fees add up. Even having the cost of one race being covered makes a huge difference in the annual budget.